The Federal Government has rejected claims that consultation for a proposed nuclear waste facility near Alice Springs has been a rushed process. The owner of the date farm shortlisted for the dump has said if the Egyptian pharaohs were buried for thousands of years with no ill-effects on the environment, the same should be possible with nuclear waste. The farm south of the town is one of six locations around Australia being considered to house low and intermediate level radioactive waste. Around 50 people turned out at a public meeting in the community of Santa Teresa, near the proposed dump, where opponents of the plan directed their anger at officials from the Commonwealth’s Department of Industry. Mark Weaver, manager for the Government’s Radioactive Waste Management Project, said it was a productive discussion but there’s a long way to go before any decisions are made. “There’s a lot of talk that this is a rushed process. It isn’t,” Mr Weaver said. Mr Weaver said he thought the Government should put “more information out there” and for representatives to “talk to community about what the concerns are”. “But we can also talk about what the potential benefits are,” he said. Tim Mickel, owner of the AridGold date farm shortlisted as a location for the nuclear waste facility, said he wanted to stay involved in the process. “I’m here because I don’t want to hide from the community. I feel that I would like to keep involved with the process,” Mr Mickel said. He said he believed the effects on the environment of any dump at the site would be negligible. “I really don’t think there’s going to be any effect to the water table, the aquifer, even the environment, and during the process there’s going to be monitoring,” he said. “The pharaohs managed to bury their dead for 3,000 years and they come up intact, so why can’t we do it with nuclear waste and have the same or nil effect to the environment? Santa Teresa local Christopher Wallace said he had hoped more people would turn up and show their opposition to the plans. 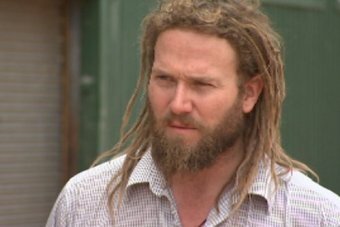 “We just don’t want that rubbish on our land, it would damage our land, our bush tucker, our story lines for our kids and their generation,” Mr Wallace said. Aboriginal traditional owners said they were sad and in shock following the meeting. “[The meeting] made us really upset. We’re thinking about the land and our ancestors, they are still floating around the land and [the Government] is trying to destroy it,” traditional owner Sharon Alice said. Barbara Shaw from the Australian Nuclear Free Alliance said it was bad timing for consultations. “A lot of our mob have cultural obligations and activities coming up soon, we have a lot of people going into town for health reasons and because it’s Christmas, a lot of people go away for holidays,” she said. 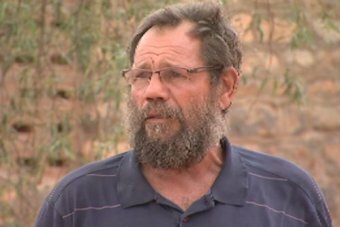 Jimmy Cocking from the Alice Springs-based Arid Lands Environment Centre said it was clear traditional owners, the people of Santa Teresa, Oak Valley and Titjikala do not want the nuclear waste site in their backyard. “They’ve got concerns about the nuclear industry, there’s a lot of mistrust of government as well, I think there’s been a lot of broken promises in the past,” Mr Cocking said. Mr Cocking said those nominating their land for proposed sites were doing so for financial gain. Mr Cocking said if the date farm is shortlisted he will stand by traditional owners in continuing to fight against it. The Federal Government has said it will return to the region for more consultations early next year. A meeting was scheduled at the nearby community of Titjikala this week but it was postponed due to sorry business (Aboriginal mourning). Public submissions on the plans close on March 11, 2016.